The current housing situation in Kenya can be traced back to the colonial years. Until about 1939, the colonial government did not consider black Africans to be permanent residents of the urban areas, nor did they encourage families to move to urban areas. Employers and state agencies provided bed spaces for workers coming to town. Local laws prohibited Africans from residing in European or white areas. They were forced to live in “Native Locations”. After 1940, the permanent presence of Africans in town was accepted, due to the workforce needed for the country’s growth. Municipalities got the responsibility of providing housing for families and single men. Several thousand units were built but very few were for families. Women and children had no choice but to stay in the “bachelor” accommodation, which was basically single rooms. That set the precedent for poor housing. Informal settlements started to be built. The first housing response from the government after independence was to encourage the private sector to build houses and to assist the public sector to expand their programs through the National Housing Corporation (NHC). The first national housing policy was formulated in 1966 in the Sessional Paper No. 5, which called on local authorities, government departments and public corporations to implement their own programs to supply rental housing. This was a time of centralized government initiatives and, during the three decades from the 1950s through the 1970s, local authorities built a number of subsidized rental housing units. After independence local authorities were given the power to implement the Graduated Personal Tax to secure their financial base, which allowed them to pursue their housing initiatives. However, the tax was abolished in 1973 and never replaced, leaving local authorities with the responsibility of housing without financial resources. 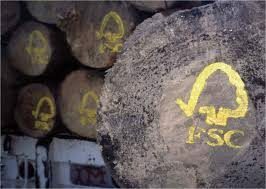 In the mid-1970s with funding from the International Monetary Fund (IMF) large-scale site and service projects were implemented. These projects were seen as low-cost housing for the urban poor and provided full development, including servicing the lots; building the roads and necessary infrastructure, housing units, sanitary facilities, community facilities; providing loans for materials and technical assistance. The actual number of houses constructed by both the private and public sectors was disappointing compared to the increased need due to urbanization. Moreover, these housing initiatives were too often not affordable for low-income earners, which meant that informal settlements continued to grow. In the mid-1980s local authorities stopped investing in rental housing. During that period, government policy was to demolish informal settlements. Despite this, some informal settlements built by the residents were tolerated. Many settlements were demolished and the residents forcibly evicted without providing any real alternatives or any compensation. All too often, the land under these settlements and other urban land were grabbed by corrupt officials and politicians who build extremely poor quality rental housing and became slumlords. The government’s administration began to be questioned in the late 1980s and early 1990s with regard to human rights, economic performance and corruption. Both the population and external funders asked for political reform, including the introduction of multi-party democracy. Throughout the 1990s poverty grew, life expectancy declined, school enrolment dropped, health services decreased and Kenya showed one of the highest disparities between rich and poor. During this period, several approaches were adopted by the government to respond to the growing housing challenges. These initiatives involved partnerships with local authorities, Community Based Organizations (CBO) and Non Governmental Organizations (NGO). Some initiatives were more successful than others and actually reached poorer people. But lack of finances and political interference contributed to the failure of many, with the result that Semba Tuvike and KiteMoto Housing Cooperatives in discussion with NACHU Technical team on their housing project progress 60% of the population in Nairobi today lives in slums. The adoption in 2004 of the new National Housing Policy and KENSUP – the Kenya Slum Upgrading Program brought hope, as the government made a commitment to improve living conditions by 2020. 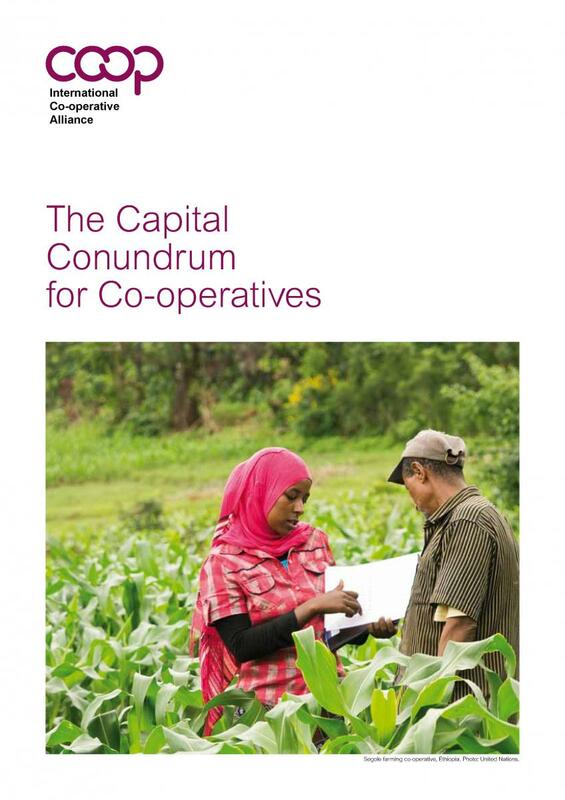 Co-operatives in Kenya started at the beginning of the 20th century with the agriculture sector. They were exclusively dominated by white settler farmers, as the 1931 Co-operative Ordinance did not allow black Africans to join a co-operative. This restriction was removed in 1945 allowing black Africans to form or join co-operatives. Until the mid-1990s, when the country moved to a liberalized economy, co-operatives were more or less under the control of the government. This meant they were receiving some level of support but also faced political interference with the government’s involvement in the co-ops’ governance and operations. The Sessional Paper No. 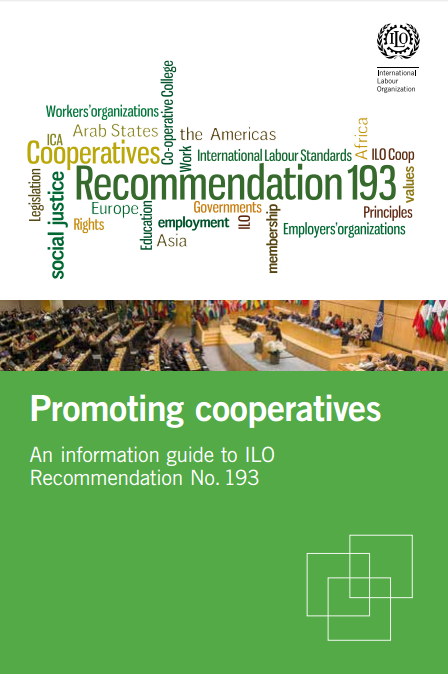 6 of 1997 on “Cooperatives in a Liberalized Economic Environment” provided a new policy framework for cooperatives after the liberalization of the economy. 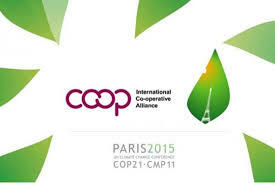 The revision of the Cooperative Act in 1997 brought more freedom and autonomy to the operation of co-ops. Housing co-operatives were introduced to Kenya in early 1980s. The National Cooperative Housing Union (NACHU) was established by the Central Organization of Trade Unions (COTU) which wanted to facilitate better housing for its members. NACHU was limited in its activities. 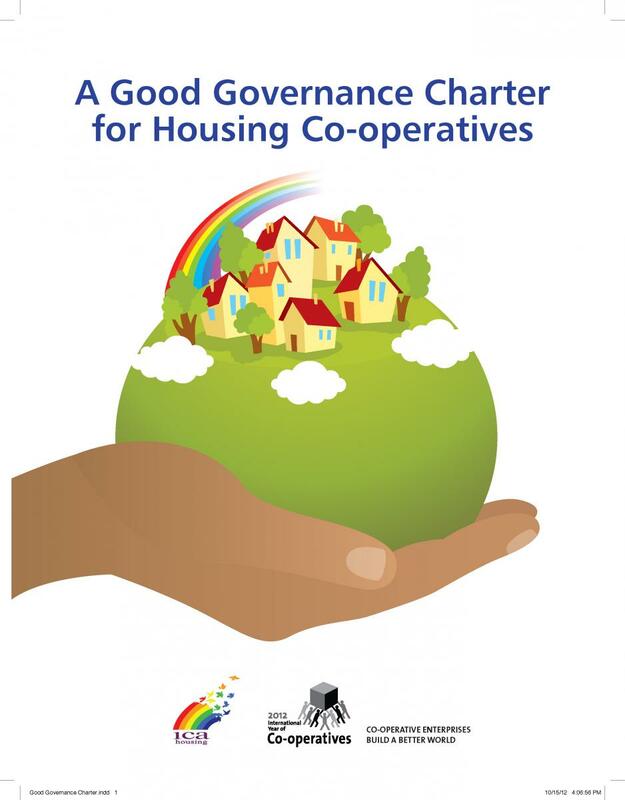 A restriction from the Commissioner of Cooperatives prevented NACHU from generating income through general housing development services in addition to its original mandate of housing co-operative development services. As with the other cooperative sectors, NACHU’s activities were much under the control of the government. 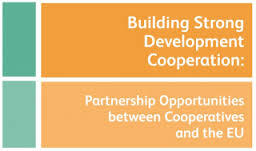 From the start, NACHU developed successful partnerships with external housing co-op movements which provided assistance in capacity building, housing development and community delivery programs, and organizational support. This partnership is still strong today. 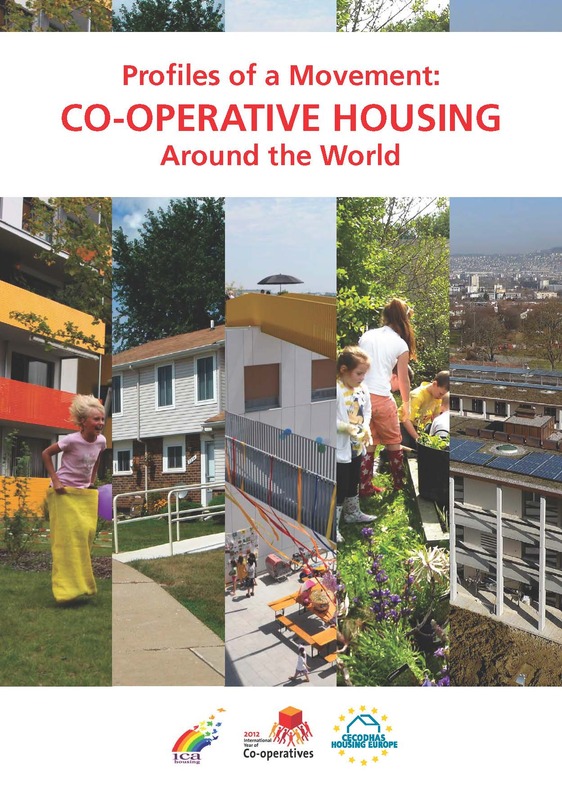 The co-op housing movement has grown in numbers due to the work of NACHU and its partners. The Article 43 of the Kenyan Constitution guarantees every person in Kenya the right to adequate and accessible housing and to reasonable standards f sanitation. 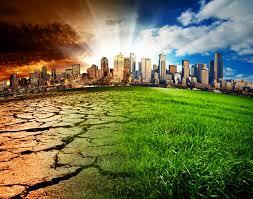 However, in 2011, in Nairobi alone, slum dwellers represent 60% of the estimated three million residents. There are 200 slums in and around the city. The largest slum in Africa is in Kibera. It started in 1912 and now has over 800,000 residents. 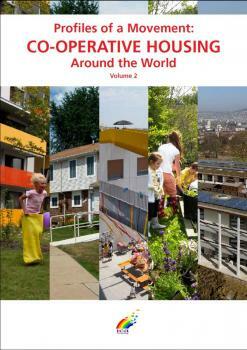 The annual demand for housing is 200,000 urban units and 300,000 rural units. It is expected that the number of units needed over the next 10 years will be 2.9 million, due to population growth and urbanization. 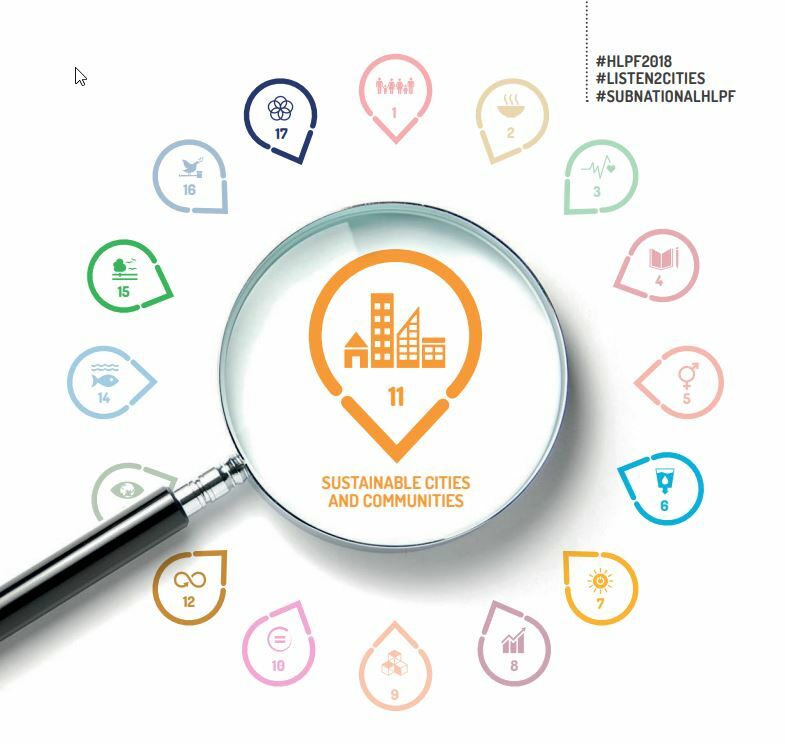 By 2050, 50% of the population will live in cities. The current annual production is 50,000 units. According to the Ministry of Housing, 80% of the new houses built are for high-and middle-income people, whereas 83% of the demand is coming from low-income families. 89% of the urban population cannot afford a mortgage. In 2010, 50% of the urban households had monthly incomes below $375. Very few rural people would be able to afford a mortgage. The lack of financial means of the majority of the population. Changes may come. The Vision 2030 adopted by the government strives for “an adequately and decently housed nation in a sustainable environment”. The government’s objective is to see an increase of the annual production of housing units from 35,000 to 200,000 in urban areas. It is expected that NACHU will facilitate the construction of 50,000 units. The government has put in place some modest incentives relating to infrastructure development, housing finance, and saving mobilization to assist in the production of the new housing units. NACHU also faces some challenges. These include building its capacity to serve a growing number of housing co-ops that need technical support and want to borrow money for land purchase, servicing and incremental housing. NACHU also has access to a limited amount of capital for loans, and it is still reliant on donors Fatabab Housing Cooperatives Members during the International Cooperatives Day Celebrations for some of its operating expenses although it does charge interest on its housing microfinance loans and fees for its services. Some very large rural housing co-ops are saving, with NACHU’s help, for building investment properties, typically a mix of residential and commercial properties in towns or cities. NACHU and the member housing co-operatives address many issues: security of tenure, housing and infrastructure improvement, income generating activities (letting of rooms, projects with women and youth, etc), community services, empowerment of members (especially women and youth), and health issues (particularly responses to HIV/AIDS), lobbying and advocacy, environment, gender etc. 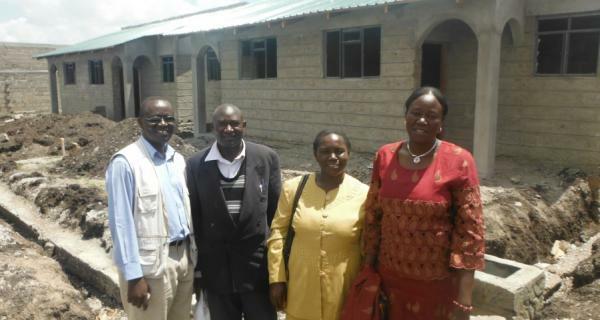 Housing co-operatives are financed by members’ savings and housing microfinance (HMF) loans from NACHU. Rural housing co-ops have also access to loans from the Savings and Credit Co-operative Society (SACCOs) they are associated with. NACHU works with the Co-operative Bank of Kenya (CBK) which based on external guarantees and borrower deposits is providing leveraged loans for PHCs through NACHU. CBK is also lending funds for middle-income housing development done by NACHU, development done as an income generating activity. The savings scheme administered by NACHU through the PHCs helps participants build their credit history and save for the 20% deposit required for loans. They typically commit to save a fixed monthly amount to be used for the building of their house. They earn interest on their savings at an average rate equivalent of what is being paid by commercial banks. It is worth noting that before 2006 no interest was paid on the savings. This change has had a positive impact on the savings scheme. Individuals are encouraged to save the 20% deposit as quickly as possible. Loans can be up to 5 times the amount of savings. The interest rate on the loans is lower than in commercial banks or microfinance institutions and the lending period is between 3 to 6 years. All loan applications are channelled through the PHC and must be guaranteed by the members of the PHC. The member gives power of attorney to NACHU to hold the titles until the loan is repaid entirely. In the case where there is not title, the local authority gives a letter of allotment to the intending borrower. NACHU housing microfinance products include loans for new construction, housing upgrading and expansion, land purchase and resettlement and, group loans for commercial purpose and infrastructure. Several mechanisms and processes have been put in place to protect the financial investment administered by NACHU. This includes financial training provided to the participants in the savings scheme. NACHU savings and loans scheme is proving to be quite successful to date – the portfolio at risk is within industry standards. Based on this success, NACHU is attracting the interest of donors and investors, which will assist NACHU to continue offering HMF loans. 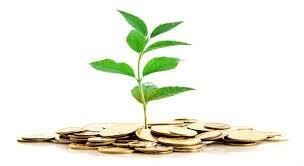 NACHU’s lending facility is financed from numerous sources including NACHU’s own equity and member savings. 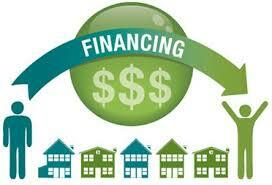 Rooftops Canada has provided a guarantee and direct lending facility totalling USD $500,000. Most recently, Homeless International, a UK organization, has provided substantial funding for several projects through the Community Led Infrastructure Finance Facility (CLIFF). 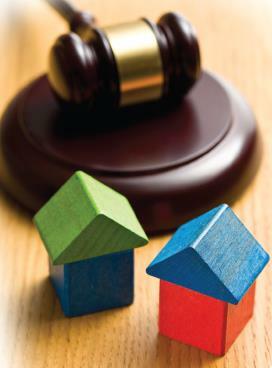 Draft Eviction and Resettlement Guidelines, 2010. 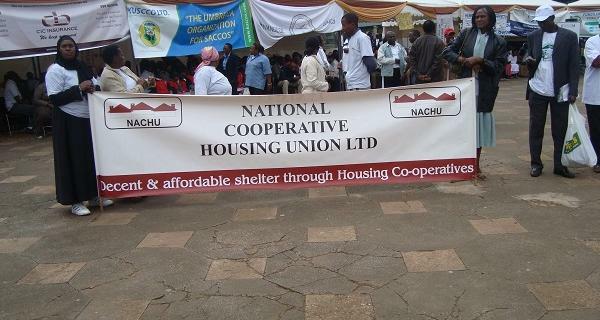 Housing co-operatives in Kenya are represented by NACHU, the National Cooperative Housing Union. NACHU was registered in 1979 under the Cooperative Societies Act (Cap 490), became operational in 1983 and held its first democratic election in 1986. 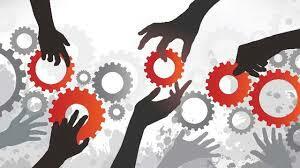 NACHU was initially established to provide technical services and small housing loans for trade union members. The broader co-op movement, some churches and NGOs also helped start NACHU. NACHU struggled for some years due to a difficult policy context and political interference. NACHU’s early growth and development was assisted by CHF International (US), Rooftops Canada, and the Ford Foundation. NACHU’s primary objective is to provide affordable and decent housing and infrastructure to the urban low- and modest-income communities. But NACHU’s approach goes beyond just housing. It includes: community mobilization (youth, domestic violence, HIV/AIDS) and training; technical support services; housing finance; lobbying and advocacy. 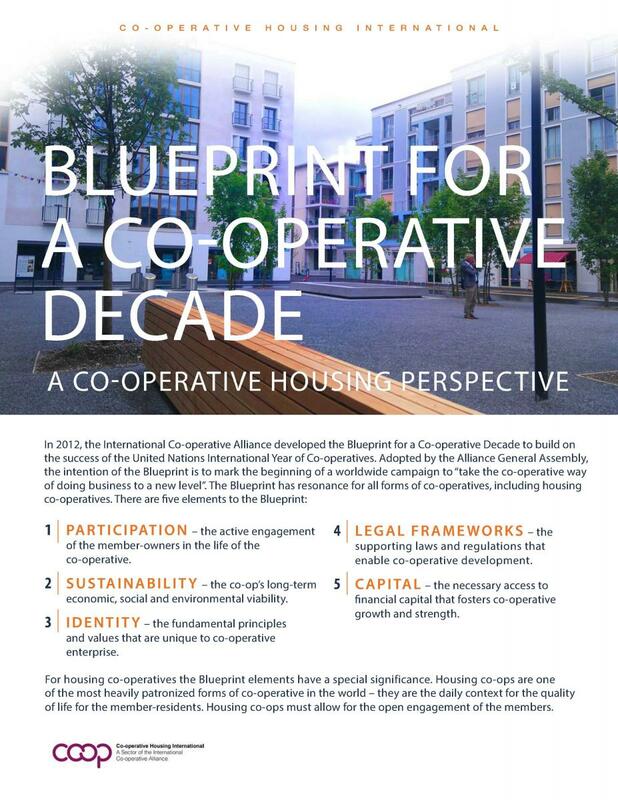 NACHU works at improving the quality of life of co-operative housing members in different ways. NACHU’s approach includes working with informal settlements, conventional housing and commercial projects. This approach has allowed NACHU to cross-subsidize the development of its low-income projects. It is governed by a nine member board of directors. Seven seats are reserved for the provinces where NACHU is working and up to three seats are elected by the AGM to improve gender balance on the Board. NACHU has 27 employees in total with eight employees on its Housing Micro Finance team. NACHU draws its membership from: low and modest-income people in formal employment, rural co-operatives associated with agricultural marketing co-operatives, middle-income earners and, informal settlement dwellers who often are self-employed and have irregular incomes. Members pay a non-refundable entry fee and buy refundable shares. Members do not pay ongoing membership fees. In 2012, 493 housing co-operatives of the 550 registered were participating in NACHU Housing Scheme, representing 11,708 individuals. 84% were low-income earners and 16% modest-income. NACHU has counted on external funders and partners to help finance its operational costs and capitalize its revolving funds. Without these organizations, progress would have been much slower. 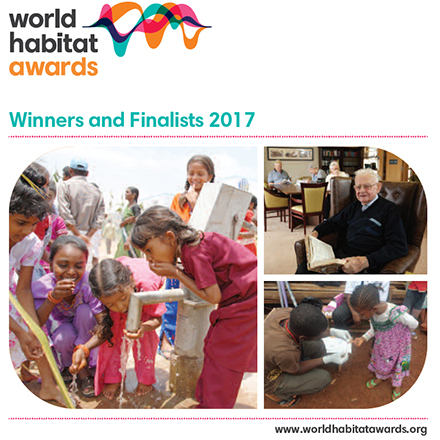 NACHU’s partners have been and are: Rooftops Canada, Homeless International, CHF International (now Global Communities), Ford Foundation, USAID (Housing Guarantee Fund), NORAD and NBBL (Norway), Swedish Co-operative Center (now We Effect), SACOMA (UK). 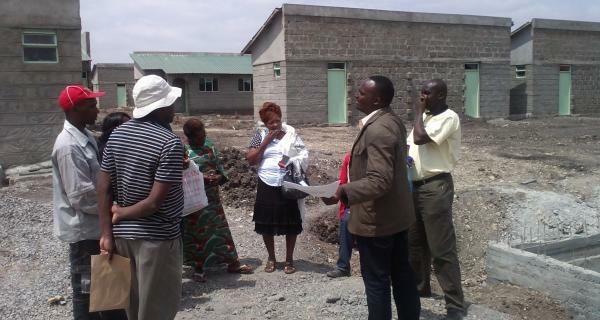 The majority of the Kenyan housing co-operatives are affiliated with NACHU, which currently has 550 members. There are also several cooperatives for middle and high income earners, which are not NACHU members, formed as investment vehicles. NACHU housing co-operatives represent at least 250,000 members.